First, let me congratulate the winners of my birthday giveaway, who were chosen at random. I gave the first chosen their number one pick, the second their number one pick (unless previous person had that one first, then they received their 2nd pick), and so on…. I need everyone to email me except Valerie (I found your email :). The others, I did not find your email info on your blog page or in your comments. I need to contact you all for your address information. Second, here are a few freezer paper stenciled shirts I have done for Christmas presents. This one is for my brother who is in the processing of obtaining his masters. 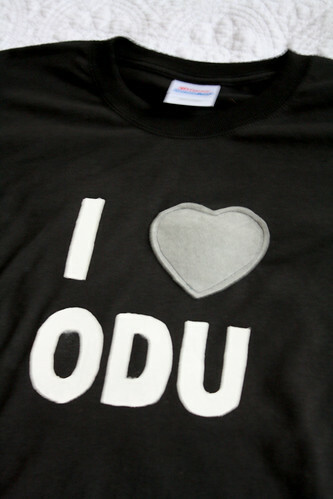 ODU is the college he is attending. I used the idea from these onesies I made based on Dana’s. 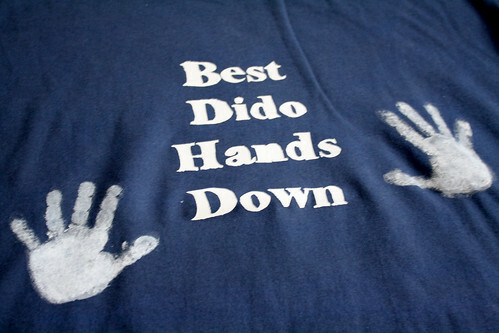 This is for my husband’s father, who is my daughter’s “Dido.” It is Ukranian for grandfather. I let my daughter make the handprints on this one and the next two. It was messy, but it’s cute. We made this one for my husband. And lastly, this one is for my dad, my daughter’s “Papa.” Her grandpa. Thank you thank you THANK YOU!! 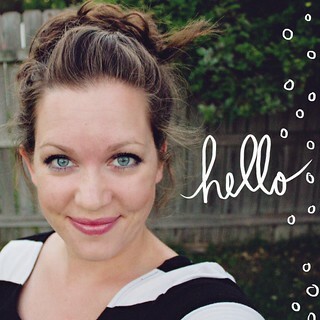 I’ve never won anything on a blog giveaway before! I’m so excited!! Hooray for giveaways! I love these ideas. I just might be making one for my husband. Thanks so much for the great ideas. I think it’s time I tried freezer paper stenciling. 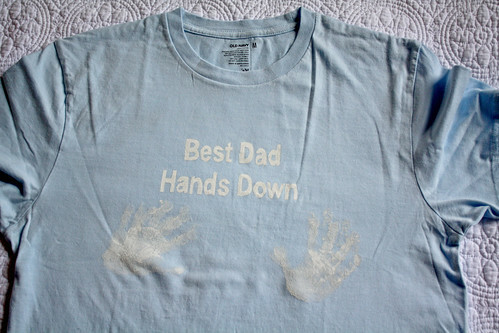 We’ll have to make the “best dad – hands down” shirt for Father’s Day next year! These are so sweet! Plus, I like that it’s for a man. 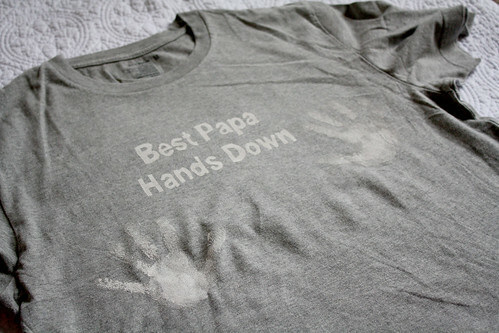 One can only imagine the weird looks that might arise from little handprints on a women’s chest. Ha! Too cute.